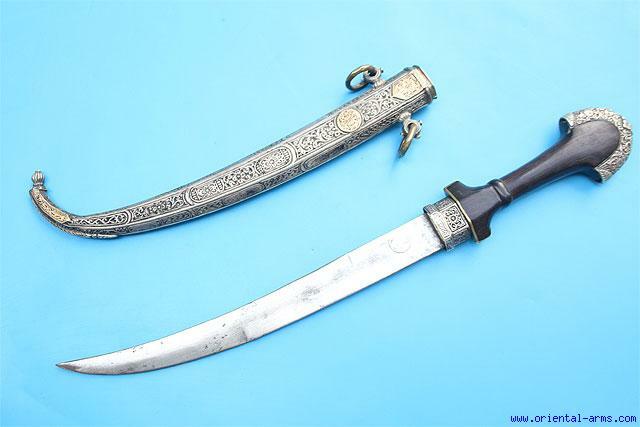 Up for sale is this good Moroccan dagger, early - mid 20C. Classical Koumaya style with curved blade 9 � inches long stamped with an image of a human face. Finely chased silver scabbard with typical floral design and gold plaques decorated in the same manner. Dark wood handle with chased silver pommel. Total length 16 inches. Very good condition.